Officially Floriculture began in the late 1800's in England where flowers were grown in large estates, and now has spread to most other countries as well. The floral industry today has grown to much larger proportions and offers a wide scope for growth and profits. The countries involved in the import of flowers are Netherlands, Germany, France, Italy and Japan while those involved in export are Columbia, Israel, Spain and Kenya. In India, Floriculture industry comprises flower trade, production of nursery plants and potted plants, seed and bulb production, micro propagation and extraction of essential oils. Though the annual domestic demand for the flowers is growing at a rate of over 25% and international demand at around Rs 90,000 crore India's share in international market of flowers is negligible. India has a blooming future as far as floriculture is concerned. Enormous genetic diversity, varied agro climatic conditions, versatile human resources etc offer India a unique scope for judicious employment of existing resources and exploration of avenues yet untouched. Karnataka is the leader in floriculture, accounting for 75% of India's total flower production. The state has the highest area under modern cut flowers, and 40 flower growing and exporting units. The expert committee set up by Govt. 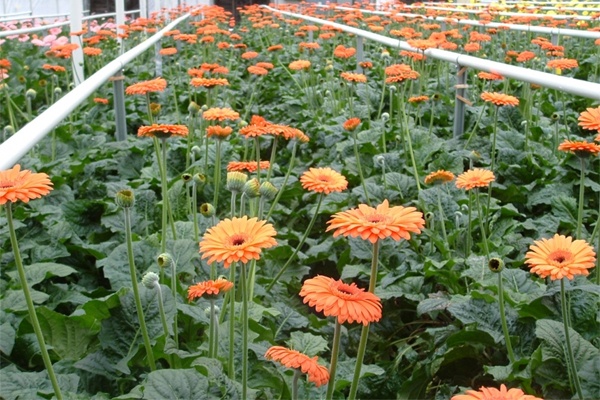 of India for promotion of export oriented floriculture units has identified Bangalore, Pune, New Delhi and Hyderabad as the major areas suitable for such activity especially for cut flowers. APEDA (Agricultural and Processed Food Products Export Development Authority) is the registering authority for such units. The employment opportunities in this field are as varied as the nature of work itself. One can join the field of floriculture as farm/estate managers, plantation experts and supervisors, project coordinators etc. Research and teaching are some other avenues of employment in the field. Marketing of Floriculture products for different ventures is emerging as a potential segment of this field. Besides one can work as consultant, landscape architect etc with proper training. One can also work as entrepreneur and offer employment to others. In addition to these careers which involve research and actual growing of crops, floriculture also provides service career opportunities which include such jobs as floral designers, groundskeepers, landscape designers, architects and horticultural therapists. Such jobs require practitioners to deal directly with clients. Professional qualification combined with an inclination towards gardening and such other activities produces efficient floriculturists and landscaping professionals. The skills and knowledge required are imparted under the professional courses of floriculture and landscaping.